RETRO KIMMER'S BLOG: FIRST LOOK AT AVENGERS AGE OF ULTRON! 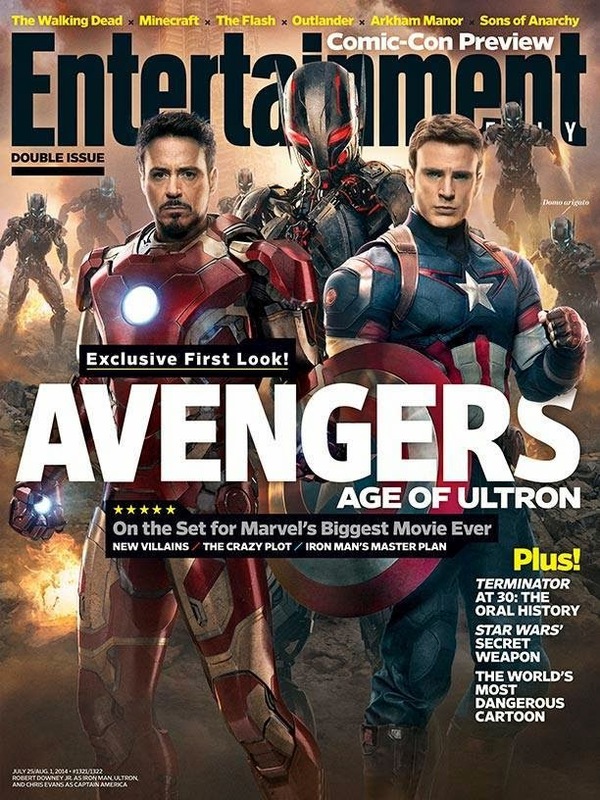 First look at Avengers 2 from the cover of Entertainment Weekly - Robert Downey Jr as Iron Man, Chris Evans as Captain America, Ultron and Ultron drones! If you’re part of a group that has already saved the world nine times, eventually you can’t help but wonder: Isn’t it somebody else’s turn?